The jury's selections for the WSD2017 Exhibition have been announced. The jury chose 120 entries for the WSD2017 Professional Designers Exhibition and 60 entries for the WSD2017 Emerging Designers Exhibition, for a total of 180 designs to be displayed from 149 designers across 36 countries. The categories for your submitted works were decided by WSD2017 selection jury, therefore the category of your work may be different from your initial submission. 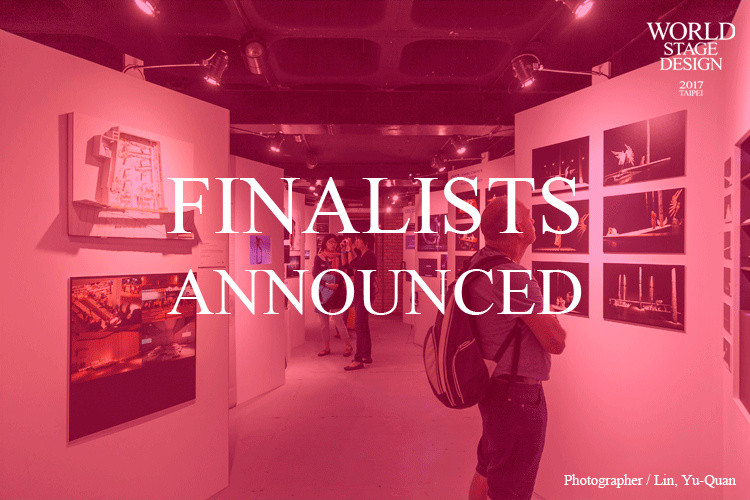 Please check the entire list here : www.wsd2017.com/finalists. 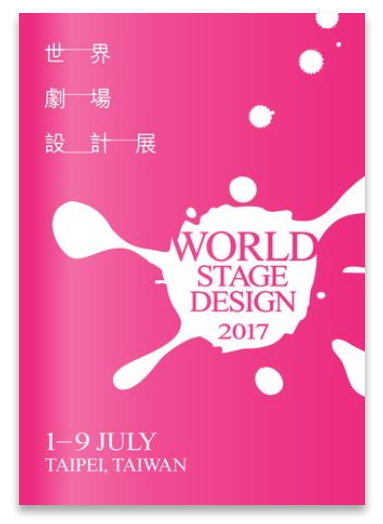 The WSD2017 Exhibition will take place at the Kuandu Museum of Fine Arts at the Taipei National University of the Arts in Taipei from 1 July to 9 July, 2017. The finalists are required to submit the online application for the exhibit in WSD2017 and to take responsibility for bringing their work to Taipei to be included in display. Kate Burnett is an award winning theatre designer working with a wide range of contexts and audiences. She has designed extensively for regional, national and touring theatre companies; also large scale schools and community performance projects for orchestras, opera companies and art galleries. Between 1994 – 2015 she has curated and co-curated five national exhibitions of design for performance for the Society of British Theatre Designers. Selections from these have been exhibited at the international Prague Quadrennial (winning a Gold Medal in1995, Golden Triga in 2003 and Special Jury Award in 2015), also in regional UK galleries, the Theatre Museum, Covent Garden and the Victoria & Albert Museum, London. For WSD2013, held at RWCMD in Cardiff, Kate was editor of the WSD2013 print catalogue. Eloise Kazan studied fine arts at the San Carlos Academy of Fine Arts in Mexico City and in 1999 she graduated from a postgraduate design course at the Bristol Old Vic Theatre School in the UK. She has worked internationally as a designer on more than sixty productions including theatre, dance, opera, interior architecture and film. Recent work includes costume design for the Royal Shakespeare Company production of A Soldier in Every Son directed by Roxana Silbert (Stratford-Upon-Avon, UK 2012), costume design for the Croatian National Opera production of Le Nozze di Figaro (HNK, 2016) and the production design for award winning director Deborah Kampmeier's independent feature film Split, released in 2016. She was a recipient of the top prize for costume design at the Prague Quadrennial of Performance Design and Space in 2007 and was a member of the International Jury at the Prague Quadrennial 2015. She is also a two time recipient of the Mexican National Arts Fund (FONCA) Young Artist Grant for Theatre Design and is an official member of the Mexican NationalSystem of Art Creators(SNCA) since 2015. Design credits include the Broadway productions of One Flew Over the Cuckoo’s Nest, The Old Neighborhood, Buried Child, The Rise and Fall of Little Voice, The Song of Jacob Zulu, A Streetcar Named Desire, The Grapes of Wrath, Speed the Plow, Our Town, Glengarry Glen Ross, The Caretaker and Ghetto. London credits include Waiting For Godot, You Never Can Tell and Orphans on the West End; Speed the Plow and The Grapes of Wrath for The Royal National Theatre; One Flew Over the Cuckoo’s Nest and The Man Who Came to Dinner at the Barbican; American Buffalo, and Ricky Jay and His 52 Assistants. Productions for the Peter Hall Company include The Importance of Being Earnest, Measure For Measure, Waiting For Godot, Much Ado About Nothing, and Man and Superman. Mr. Rigdon has extensive design credits Off-Broadway and regionally. He was the resident designer for Steppenwolf Theatre from 1976 to 1997 during which he designed the scenery, lighting, and costumes for more than 110 productions. He is currently the Associate Director/Design for Houston’s Alley Theatre where he has designed more than 50 productions. Mr. Rigdon is the recipient of two Tony Award nominations, seven Joseph Jefferson Awards, two American Theatre Wing Design Awards, and the Drama-Logue Award. . Mr. Rigdon is the curator for the American National Exhibit for the 2015 Prague Quadrennial Sceneography Exhibition and he serves as the Vice President International Activities for USITT and head of the US OISTAT Centre. In addition to his design credits, Mr. Rigdon is the John and Rebecca Moores Professor of Theatre and Head of Graduate Design at the University of Houston. With a profound understanding of literature and the ability to exploit modern technology, Austin Wang graces the theatre playground with his humor, insight and exuberance. Austin is one of a handful of theatre designers who could directly communicate with playwrights and convey his designing philosophy precisely with eloquence. Austin Wang received a BIAA award in Warsawin 2004. In 2007, he sat on the judging panel of Prague Quadrennial of Performance Design and Space ( PQ) and acted as the convener of the Taiwan team. The Taiwan Exhibition won the Gold Medal for the Best Use of Theatre Technology that year. He was the director of stage design at 2009 Deaflympics in Taipei.In 2014, he received National Award for Arts from The National Culture and Arts Foundation in Taiwan. 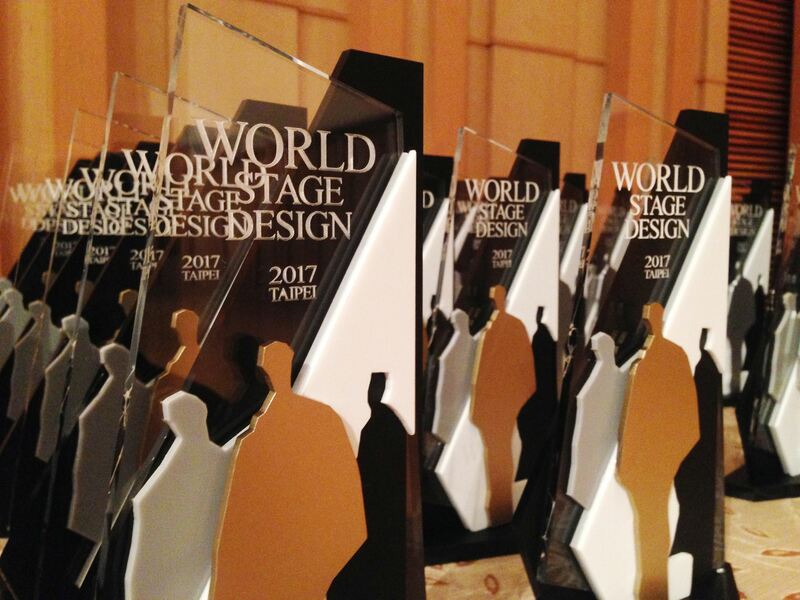 Sophie designs for theatre and performance and won the overall Gold Medal at World Stage Design 2013. She is Associate Director and designer for performance company Seven Sisters Group, who are well known nationally and internationally for their site-specific work. She has recently completed her PhD, on theatre designers Jocelyn Herbert and Motley. Her designs were selected to represent Britain at every Prague Quadrennial exhibition of world theatre design between 1999 and 2011. Sophie is Associate Lecturer at University of the Arts London and visiting lecturer at Royal Central School of Speech and Drama. She curated an exhibition at the Victoria &Albert Museum called When Marcel Met Motley, about the collaboration between Motley and the architect Marcel Breuer.Former Joint Honorary Secretary of the Society of British Theatre Designers, Sophie is a Linbury Prize committee member and was a judge for the 2015 Linbury Prize for Stage Design. An-huei Tsao is a theatrical lighting designer, received her Master of Fine Arts degree from Yale School of Drama in 1998. Afterwards she returned to Taiwan and worked on theatrical lighting design for performing arts. She has accumulated over one hundred productions for drama, dance, opera and concerts. Her works represented Taiwan and herself in International Exhibition of Scenography and Theatre Architecture Prague Quadrennial (PQ) and World Stage Design (WSD). 05161973 SZYMBORSKA was selected into the exhibition of WSD 2013 in Cardiff of UK. LITTLE TOWN OF TANSHUI and IRMA LA DOUCE were selected into the exhibition of WSD 2009 in Soul of Korea. THE CHERRY ORCHARD was selected into the exhibition of WSD 2005 in Toronto of Canada. She also was the curator of Taiwan Student Section Exhibition in PQ 2011. She is currently the full time Assistant Professor at the Department of Theatre Design and Technology in Taipei National University of the Arts (TNUA), and the council member of Taiwan Association of Theatre Technology (TATT). Patrick is Canadian performance designer, working in a wide range performance styles and scales of production. From site-specific opera to texts from the classical cannon to contemporary devised work, Patrick’s work has been recognized across Canada and internationally. Collaborators include: The Banff Centre, Canadian Opera Co, Against the Grain, Ghost River, The Arcola (UK), Theatre Calgary, Alberta Theatre Projects, Buddies in Bad Times, Blue Bridge Rep, The Grand, Persephone, The Belfry, Tarragon as well as various independent ad-hoc collectives. Patrick designed and curated the Canadian Exhibition at the 2015 Prague Quadrennial, produced by the Associated Designers of Canada (ADC). As an educator, Patrick has been member of the faculty at the University of Calgary from 2013-2016 and is looking forward to taking up a new post at University of Victoria in 2017. He has also been a guest artist or instructor at the National Theatre School of Canada, Ryerson Theatre School, George Brown, and Sheridan College. Patrick is a graduate of the University of Alberta’s MFA Theatre Design program.